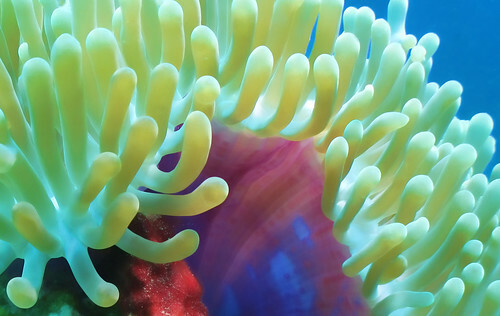 The delicate structure and lovely colours of the Magnifient Sea Anemone. Taken at Madivaru Manta Point. PLEASE NOTE - I take Photographs purely as a hobby so am happy to share them with anyone enjoys them or has a use for them. If you do use them an accreditation would be nice and if you benefit from them financially a donation to www.bluepeacemaldives.org would be really nice.